The alpha test for the standalone version of DayZ can be a little intimidating at first. You're dropped on the beach with little equipment and not a single word of instruction. To help you get started, I've created a step-by-step instructional guide to the game based on my early experiences. 1. Scan the horizon for the closest building. Walk or run to it. 2. As you approach the first building, push X to crouch. This will make you quieter and harder to spot by zombies. 3. Sneak into the building, checking all the rooms for useful items. Find nothing. 4. Sneak into an adjacent building, checking the rooms for useful items. Find nothing. 5. Sneak into an adjacent building, checking the rooms for useful items. Find nothing. 6. As you exit the previous building, look around with a puzzled expression on your face. Wonder where all the zombies are. 7. Tab out, do a Google search for "where are all the zombies?" Then a Google search for "dayz standalone where are all the zombies?" to get better results. Learn that the zombies aren't spawning as much as they should. 8. Run into another building, searching every room for useful equipment. Find a green motorbike helmet. Progression! 9. Travel along the coast in hopes of finding another town. 10. Get surprised by another player. He's wearing a bulletproof vest and wielding an assault rifle. He says something over voice chat that you can't understand. 11. Think of something to say. First impressions are important. "I will trade you this vintage, designer motorbike helmet in exchange for your rusty, second-hand assault rifle" sounds like a smart opener. However, keep in mind that the game is set in a fictional post-Soviet country. To stay in-character, you should speak in a fictional post-Soviet accent: "Comrade, I am geeving helmet to you for assault ryyy-ful, yes?" 12. Dig through key bindings menu to find chat command. Return to game. Oh, he's gone. 13. Trust me when I say that this is an above-average outcome for encounters with other players. 14. It's night now. Take your flashlight out of your bag and drag it to your hotbar so you can use it. Turn it on. It does not turn on. 15. Google "dayz standalone why doesn't my flashlight work." 16. Discover that you need to put a battery in it. Right-click the battery and select "attach to flashlight." Yes, "attach." Some of DayZ's menus are written by an android. Speaking of which: your hunger is now yellow. Better find some food. 17. Run into a medium-sized town and rummage through the first apartment building. Find a portable gas stove. Now we're getting somewhere! 18. Leave the building and encounter your first zombie. Raise your fists - no, not your flashlight - and punch him over and over. Eventually he disappears. Either the game is bugged or the zombies are made of sand. Or maybe you're just hallucinating from that yellow hunger level. 19. Enter another building. Find two wool caps (definite downgrade from your helmet), a medkit, and a backpack to store it all in. 20. You're really progressing now, aren't you? Just an hour ago you were walking around all, "Durr durr where are all the zombies?" Now you're punching zombies into particles and hauling around a rucksack of supplies. With what you've scavenged, you could build a nice fire for yourself in the wilderness. Maybe burn a bandage or wool cap for warmth. Can you make a fire just with the gas stove? You can Google it once you're out of this dangerous, one-zombie town. 21. Hear someone yell "Hey, you with the flashlight! Get down!" 24. Die. Wonder if he was just trying to shoot a sand-zombie that was trying to sneak up behind you. 25. You've spawned on a beach. Scan the horizon for the closest building. 26. Find a warehouse. Explore its interior and find a hammer. Your first weapon! Already an upgrade over your previous life as a hat collector. 27. Secretly hope to find a zombie or human to use the hammer on. 28. See a zombie standing in place in the distance. Carefully sneak up on him, hammer at the ready. Smack! 29. He doesn't die. He starts hitting you. Hit him back. Over and over. Taste steel or whatever this is made of, zombie! 30. Get the impression that this hammer isn't working properly. Or maybe this particular zombie is hammer-proof. Either way, you're losing. 31. Fall unconscious. Stare at a blank screen. Wait for the zombie to either eat you or lose interest. 33. 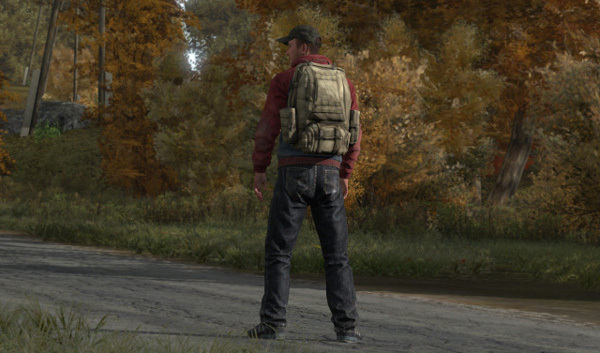 Google "dayz standalone unconscious." Find out that zombies currently don't feed on unconscious players*. Also, you can't regain consciousness in any way. So technically the zombie didn't kill you. Put this fight in the "draw" column. 34. Log out, frustrated at the game's many rough edges. Promise you won't come back until beta or later. 35. Log in the next night. 36. You've spawned on a beach. Scan the horizon for the closest building. 37. Approach a house. Looks promising. Multiple floors. Doors are still closed. Bet there's a motorbike helmet in there. * Editor's note: Today's patch for DayZ enables zombies to feed. 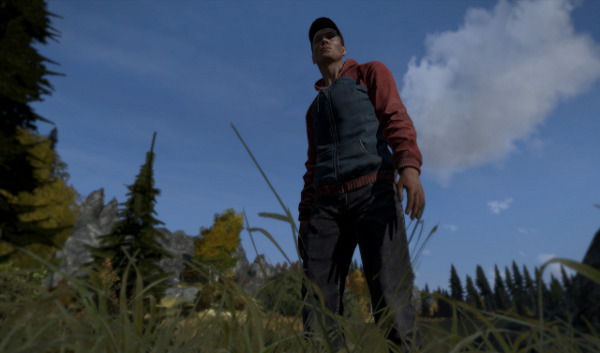 * Editor's note 2: If you want some actual helpful advice for DayZ, consult this Reddit post.